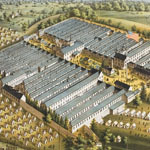 With over 600,000 people, Philadelphia was the southernmost northern metropolis, an industrial and financial powerhouse, and a major transportation terminus. 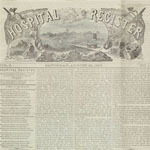 Hospital Register Vol. 2, No. 1. 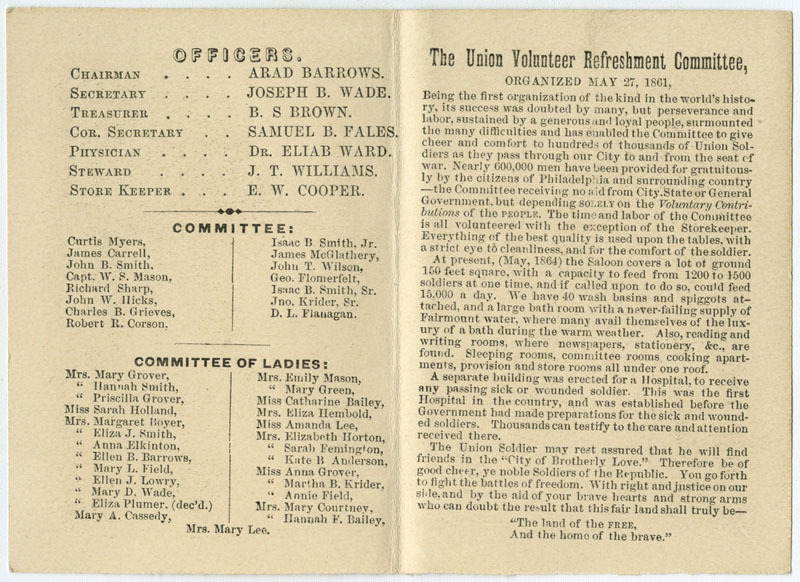 August 29, 1863 (Philadelphia, 1863). 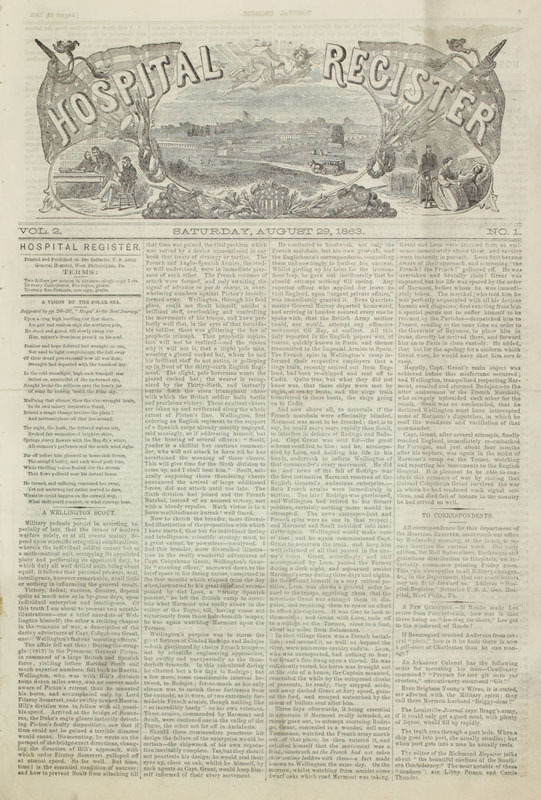 The weekly newspaper of Satterlee Hospital, printed and published on site, carried little news, featuring moral and uplifting essays and short fiction for their readers’ general amusement. 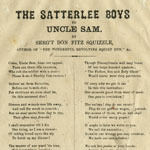 The Satterlee Boys to Uncle Sam. 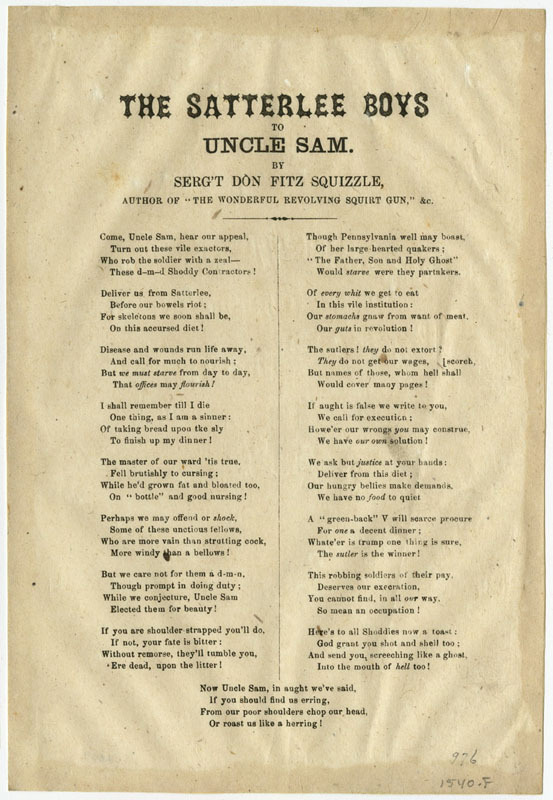 By Sergt Don Fitz Squizzle (Philadelphia, 1863?). 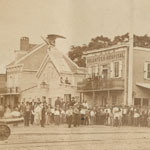 Union Volunteer Refreshment Saloon and Hospital. Robert Newell. 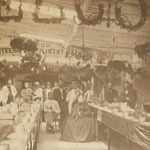 Albumen print photograph (Philadelphia, 1863). 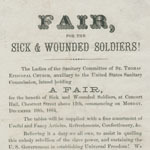 Fair, for the Sick & Wounded Soldiers! 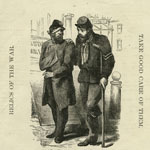 (Philadelphia, 1864). 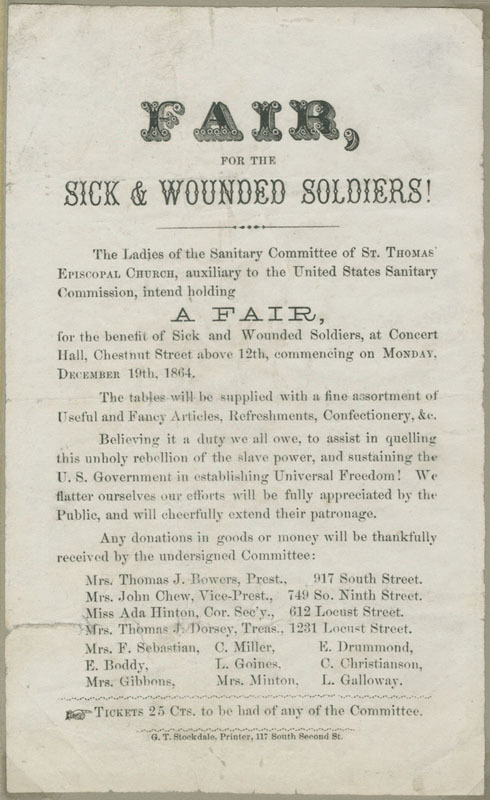 The Ladies of St. Thomas African Episcopal Church held this fair to raise funds for the African American soldiers at the Summit House Hospital in southwest Philadelphia. 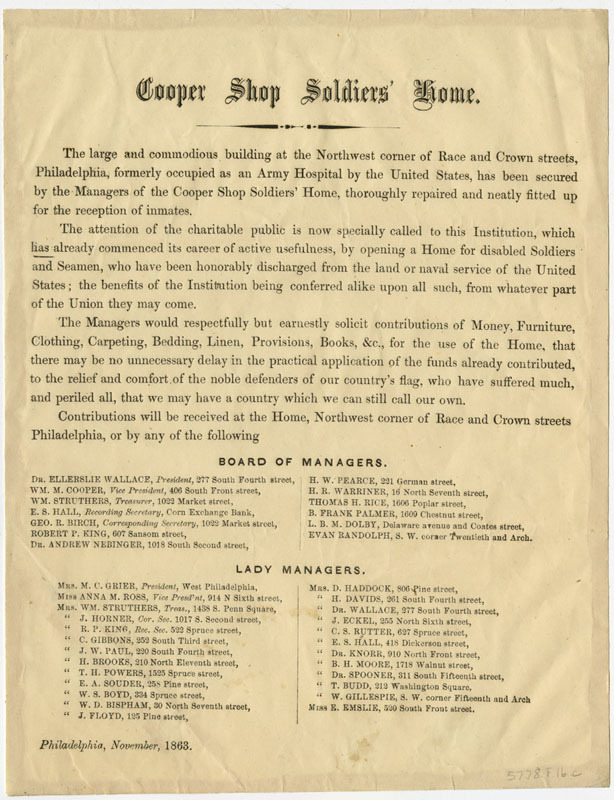 Conforming to the segregationist practices of the time, white soldiers had been relocated to make room for the African Americans. 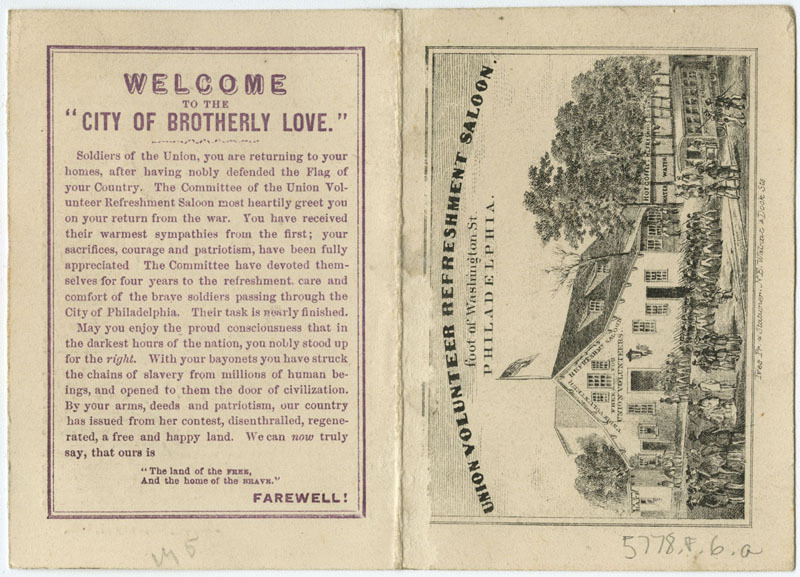 Union Volunteer Refreshment Saloon, illustrated card. 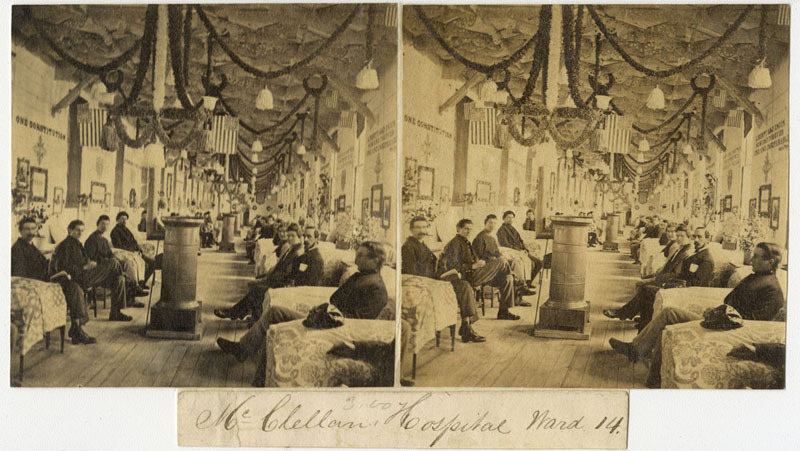 McClellan Hospital, ward 14. John Moran, albumen print photograph, (Philadelphia, 1863). 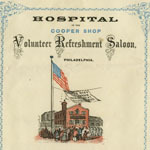 Union Volunteer Refreshment Saloon and Hospital. Robert Newell. 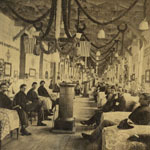 Albumen print photograph, (Philadelphia, 1863). Robert P. King. 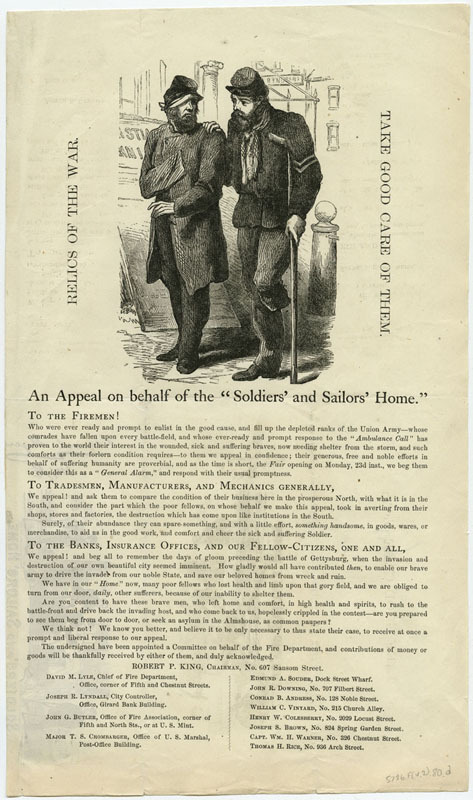 An Appeal on Behalf of the “Soldiers’ and Sailors’ Home” (Philadelphia, 1863?). 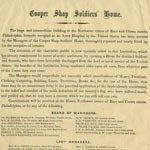 Cooper Shop Soldier’s Home (Philadelphia, 1863). 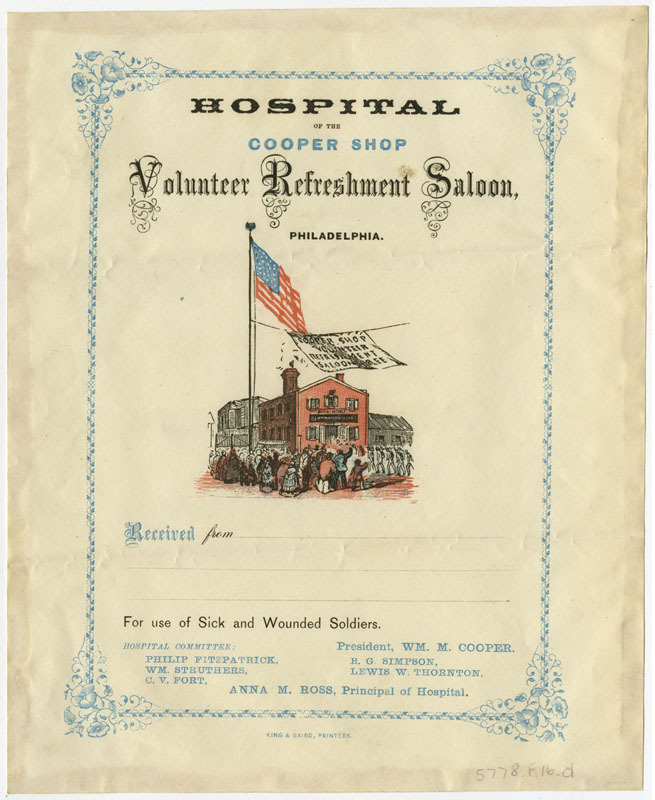 Hospital of the Cooper Shop (Philadelphia, 1863?). 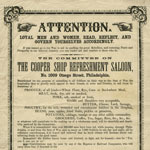 Cooper Volunteer Refreshment Saloon, Attention Loyal Men and Women, Read. 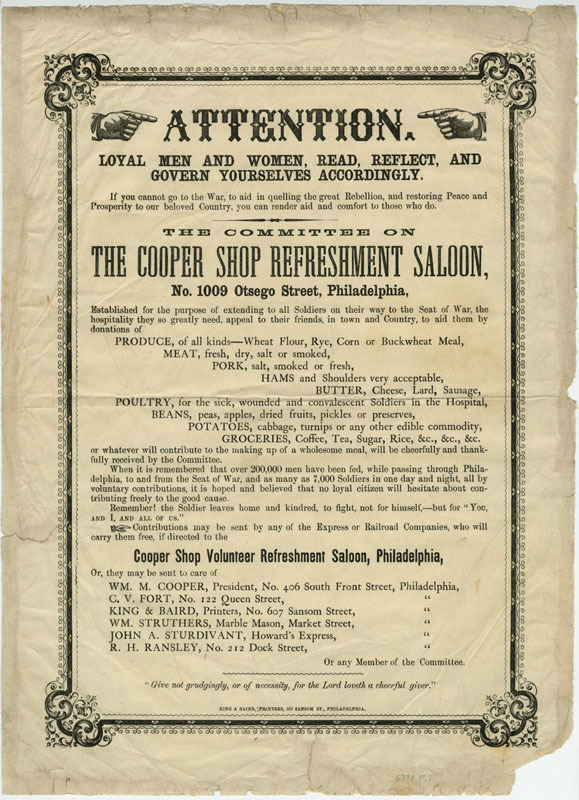 Reflect, and Govern Yourselves Accordingly (Philadelphia, 1861). 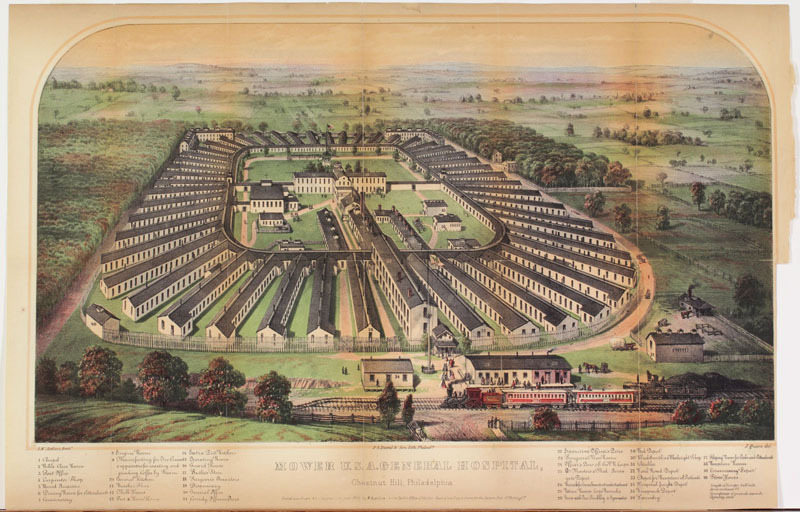 Mower General Hospital. P.S. 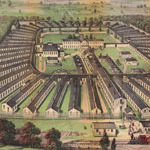 Duval & Son, Colored lithograph (Philadelphia, 1865). 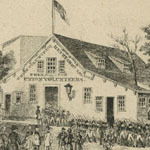 View of the Volunteer Refreshment Saloon. J. 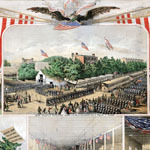 Queen, Colored lithograph(Philadelphia, 1861?). 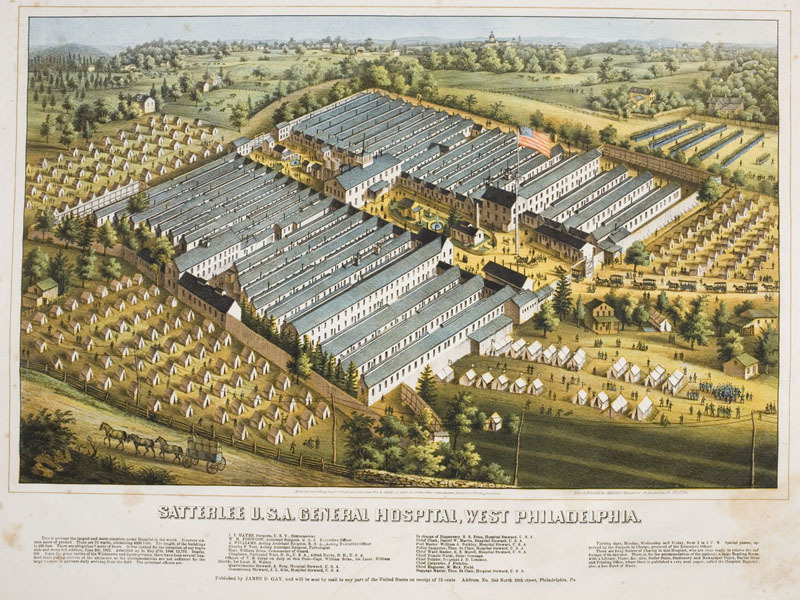 Satterlee U.S.A. General Hospital, West Philadelphia. 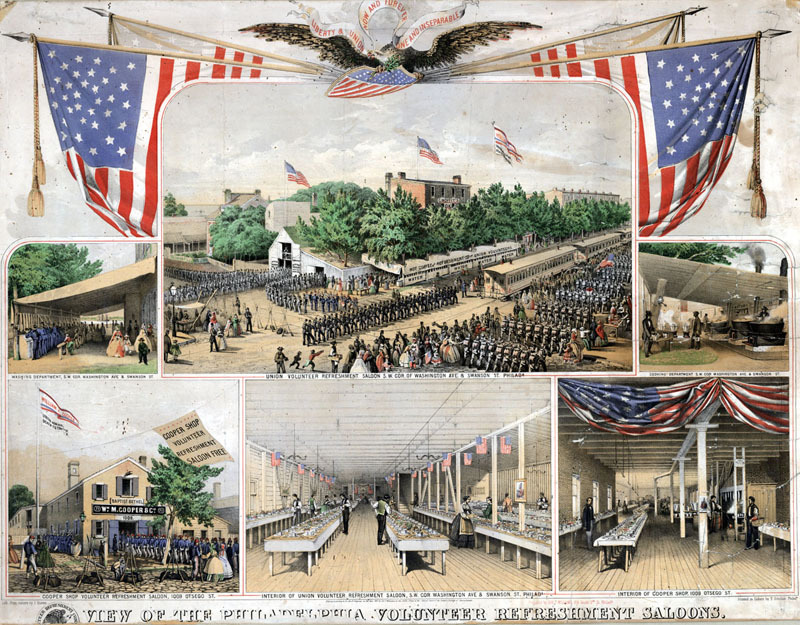 Charles Magnus, Colored Lithograph (Philadelphia, 1864).